It is hard to beat an excellent, homemade burger; the success of making them yourself depends on the meat you use. So, in this Irish Beef Burger recipe, the meat used is Irish beef (the clue is in the name of course), and the recipe comes courtesy of Bord Bia, the Irish Food Board. You can, of course, use the best of any beef you have to hand. 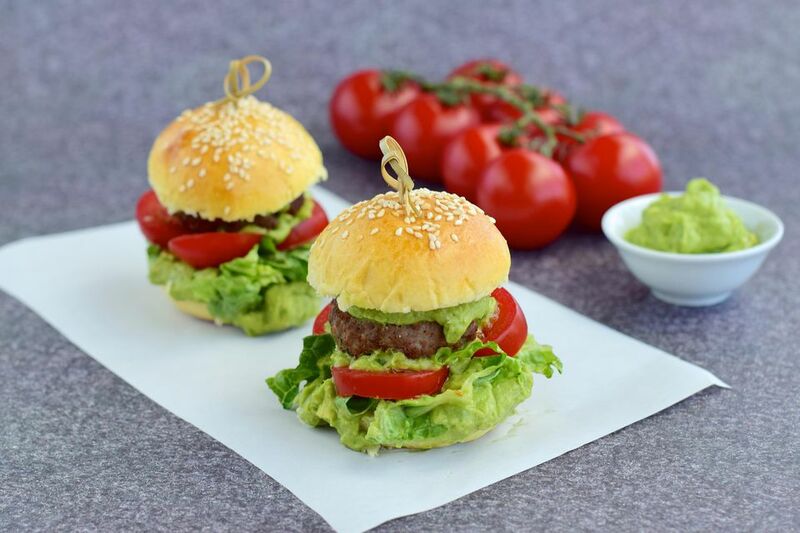 These burgers are delicious when cooked on the barbie - if the sun is shining - or, using a grill or heavy-based frying pan. The success of a good burger is not to overcook the meat which will make it dry and tough, and leave the burger to rest before serving. Place the steak, onion, mustard and coriander in a food processor, add a half a teaspoon of salt then blend until all the ingredients are combined, be careful not to over-mix. Divide the mixture into 6, then lightly dampen your hands with cold water and shape the mix into six burgers. Place the burgers onto a plate, cover with clingfilm and pop them into the fridge until needed, this also helps them to firm them up. Preheat a griddle or frying pan (if using) on high heat for about 4 minutes. Turn the heat down to medium and brush the heated pan with olive oil. Add the burgers. Using a spatula, lightly press down onto them, to make sure each burger is in full contact with the grill. Cook for around 3-4 minutes on each side or to your liking – you may need to cook them in two batches. To make the guacamole: cut the avocado in half, scoop out the flesh and mash roughly with a fork. Add the garlic, the lime juice and tomato and mix thoroughly. Finally add Tabasco to your taste and season lightly. Once cooked, place the burgers on another plate. Wipe the griddle pan clean with kitchen paper. Halve your white rolls and lightly toast on the grill.